"Fetching is for dopes." Universal + Illumination Entertainment have debuted a fifth new character trailer for Chris Renaud's The Secret Life of Pets 2, the sequel to the animated hit from a few years ago about pets and the life they have after their owners leave. This new trailer is for the Pomeranian named Gidget, voiced by Jenny Slate, also from the first film. 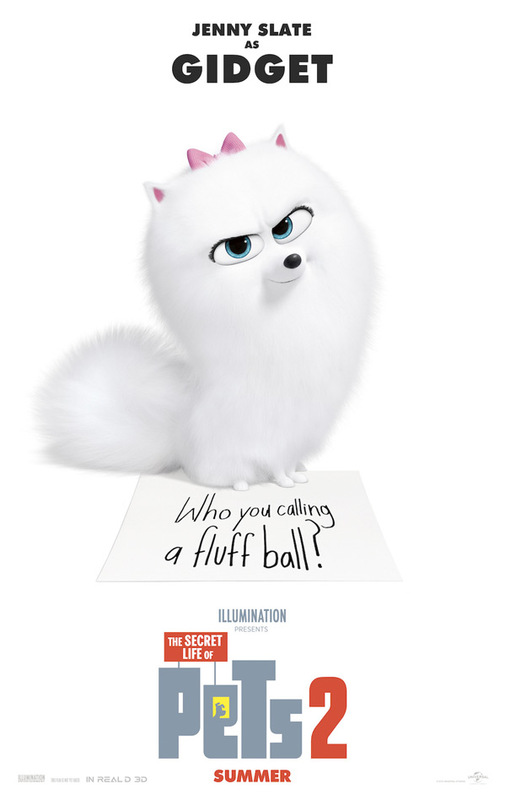 The first teaser featured the dog Max, the second teaser was all about the cat Chloe, and the third teaser re-introduced the rabbit Snowball as Captain Snowball, voiced by Kevin Hart. The full cast also includes Patton Oswalt, Eric Stonestreet, Lake Bell, Dana Carvey, Albert Brooks, Hannibal Buress, Bobby Moynihan, Kylie Hart, Nick Kroll, and Pete Holmes. So the trailers still aren't revealing much more about the plot, but it's hard not to enjoy watching them anyway. You can watch the first teaser for The Secret Life of Pets 2 here, plus Chloe's teaser or Snowball's teaser. The Secret Life of Pets 2 will follow summer 2016’s blockbuster about the lives our pets lead after we leave for work or school each day. Illumination Entertainment founder and CEO Chris Meledandri and his longtime collaborator Janet Healy will produce the sequel. The Secret Life of Pets 2 is once again directed by animation filmmaker Chris Renaud, who directed the first Pets movie, as well as Despicable Me, The Lorax, and Despicable Me 2 previously. The screenplay is written by Brian Lynch (who also wrote the first film). The film is produced by animation studio Illumination Entertainment. Universal will release Renaud's The Secret Life of Pets 2 in theaters everywhere starting June 7th, 2019 this summer. Still laughing here?